I've completed the final packing of my Lowepro Pro Tactic 350AW for Cuba. I can bring onboard a total of 20 pounds for the flight from Miami to Havana. This kit has everything I need and weighs-in at 17 pounds. It will fit easily in a small overhead compartment or under the seat in front of me. I'll keep you posted on how the trip unfolds, and if indeed I chose the right gear for the adventure. 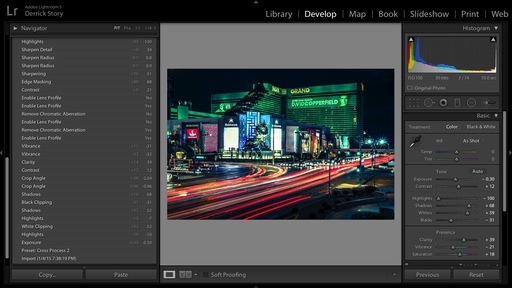 I was happy to see that my Night in Las Vegas photo was picked up on Flickr Explore. It was one of those late night projects when I probably should have been working on something else (or sleeping!). But that's what a grande Americano and a nice hotel room will lead to. "Night in Las Vegas" by Derrick Story. Samsung NX3000, 30mm f/2 prime lens, ISO 100, 10 seconds, f/14. When scouting the photograph, I wanted an interesting traffic pattern. I knew I was going to be working with long exposures, so the shape of the light streams were important. Once I found the spot, I set up the NX3000 with 30mm lens on a Joby GorillPod Micro and chose the Light Trace scene mode. I've had good luck with this function on Samsung cameras in the past, and it proved to be a winner once again. Light Trace takes a lot of the guesswork out of streaming light photography. I studied the flow of traffic for a while, then timed the shot so I had cars going away from me, both straight and turning left, while those facing the camera were in a stationary formation. I liked this juxtaposition. 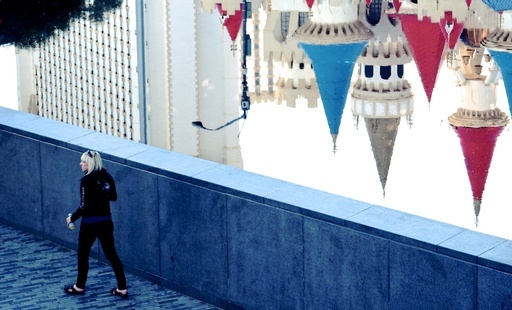 How the MGM Grand was framed in the background was also important. Once I captured the composition I wanted, I stopped for a coffee and headed up to my room at NYNY. I loaded the Jpeg into Lightroom and applied the Cross Process 2 preset. If you've read about my night shooting before, you know that I rarely go with the original color scheme. I'm usually looking for something a little less yellow. The lighting on the hotel influenced my choice for this image. Cross Process created an interesting effect on the buildings, yet left the car lights alone (more or less). So all that was left to do was adjust the shadows - highlights - sharpening, etc. I then exported the image and uploaded it to Flickr. The more I practice with night photography, the easier it is for me to visualize the final shot. This is helpful when scouting. Yes, you could set everything up, then look at a few exposures on the LCD. But that can be pretty slow going over the course of a chilly night. And a photographer can only drink so much coffee. 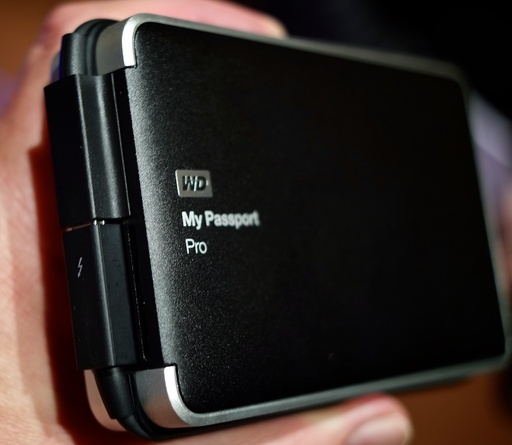 Today at the Western Digital booth I learned about the WD My Passport Pro 2TB portable RAID storage with integrated Thunderbolt cable that feels as robust as any portable hard drive I've handled. If you're in the market for a portable Thunderbolt hard drive that can also provide RAID backup, I'd throw this one in to the mix. This week on The Digital Story Photography Podcast: Photo Gear at CES, Backlighting techniques, Samsung NX3000 APS-C Mirrorless camera kit, Selfies Get a Bad Rap - All of this and more on today's show with Derrick Story. Snapshot - "Selfies Get a Bad Rap" For years, photographers were absent from family photo albums. So once they finally turn the camera towards themselves, they're suddenly narcissistic? I discuss on the first segment of today's show. Weekly Update - CES Report. Plenty of news about connected devices and wearables. But what about photography? I provide some insights on announcements such as the Canon Connect Station CS100, the iCamPRO HD, the Inspire 1 Camera Mount, Panasonic's trio of superzooms, 5 new Canon compacts with emphasis on connectivity, and the Segate Seven 500 GB USB3.0 hard drive that's only 7mm thick. Story #1 - Bargain or Bust? Trying out the Samsung NX3000 with 16-50mm power zoom lens. This kit is selling for around $400, includes a 21MP APS-C sensor, 16-50mm power zoom lens, and excellent WiFi and NFC connectivity. Story #2 - From the Screening Room - Exploring Photography: Backlighting with Ben Long. This week's featured artist is teacher fantastic Ben Long. He tackles the universal challenge of backlighting, a demon that has overcome us all at one time or another. You can watch Ben in action by visiting the TDS Screening Room at lynda.com/thedigitalstory. While you're there, you can start your 7 day free trial to watch all of Ben's movies, plus every other title in the library (including over 20 by yours truly). Story #3 - "How Much Faith Should I Put in DxO Numbers?" 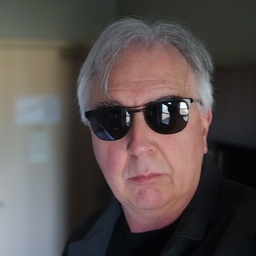 Robert Perrin asks, "And all the DxO numbers favor the Nikon/Sony over Canon. Â So my real questions are, am I putting too much into the DxO numbers? Â Do you think Canon is going to address their disadvantage in high ISO noise, dynamic range, picture quality and color depth or are they going to focus more on the ability of their cameras to do video better? Â Knowing that I want to shoot low light, am I looking at the right attributes of camera performance to get better quality pictures?" News from SizzlPix: Have yourÂ SizzlPixÂ now, and with PayPal Credit, make no payment until July. 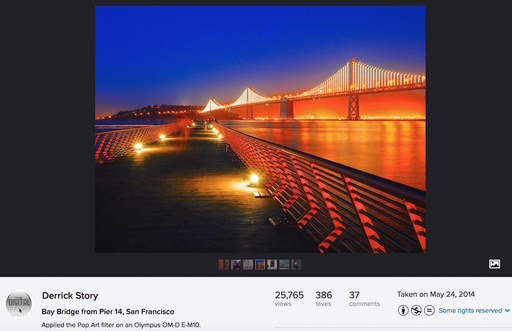 Great for sellingÂ SizzlPixÂ of your photography and collecting your profit even before you pay. Also helpful for any photographer with an opportunity for gallery showings. Red River Paper - Save 10 percent off your next order of inkjet paper and greeting cards. Good one per customer. Use discount code STORY10X - Ends 1/15/15. 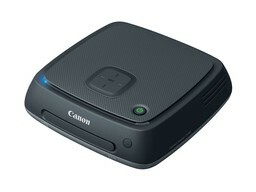 When I first heard about the Canon Connect Station CS100, I thought, "that's cool." But the devil is in the details. It's a $299 media hub with a 1TB hard drive that enables photographers with 2015 Canon cameras to quickly transfer images and video via an "NFC tap" to the device. Once the content is copied to the Connect Station, it can be viewed on an HDTV, shared with mobile devices via a web browser, or sent to PictBridge compatible printers. The part that's neat is that you don't need a computer to manage your digital images. Great for some non-techy folks I know. If you have a spare HDMI port on your HDTV, then you can navigate the CS100's menu system to sort and view the pictures. The device also includes a USB port and CF and SD card slots for input. On the downside, you need a 2015 Canon camera to use the Connect Station's wireless transfer, and it only accepts Canon's CR2vii RAW format. So, if you're Canon-only and buy a new NFC enabled camera this year, great. Otherwise, it's a $299 media server with a SD card slot for your Jpegs. There are some great deals with quality cameras right now, and one of the best is the Samsung NX3000 camera with 16-50mm OIS power zoom for about $409 (and as low as $369 if you don't mind the white lens/body combination). For your hard-earned money, you'll receive a good-looking mirrorless body (offered in a variety of colors) that houses a 20.3MP CMOS APS-C sensor, 3" upward tilting LCD, WiFi, NFC, external flash, and a 16-50mm OIS power zoom lens with i-Function button. The NX 3000, captures RAW, Jpeg, and HD video. There's a free mobile app for both iOS and Android that allows for remote control of the camera and easy picture sharing. A perfect complement to this kit is the super-sharp Samsung 30mm NX Pancake lens ($234) that gives you a bright f/2.0 maximum aperture and an equivalent 46.2mm focal length, all in a package that weighs less than 3 ounces. The zoom lens (top photo) provides an equivalent of 24.6-77mm and includes image stabilization. It's a quality optic with a precise stepping motor and seven-blade circular diaphragm. Zooming is easy via the buttons on the lens barrel. Plus there's the clever i-Function button that you can configure for quick camera adjustments, such as exposure compensation. When you need a bit more speed, switch to the accessory 30mm compact prime (second illustration) and shoot wide open at f/2.0. Both optics provide excellent contrast and sharpness. Captured with the 30mm on the NX3000 - f/2.0, 1/400th, +2/3 exposure compensation, ISO 1600. Photos by Derrick Story. The 3" 460,000-dot LCD tilts all the up for self-portraits. Selfies are made even easier with compatible features such as smile and wink modes that couple with face detection. If you're in a hurry, you don't even have to turn on the camera. Just flip up the LCD and the lens sets itself to 16mm and the power goes on, ready for that quick memento. 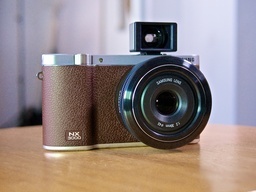 The NX3000 is a good low light shooter with an ISO range of 100-25600. I didn't think twice about jacking up the setting to 1600 or 3200. Images looked great. Video is also quite good with full HD capture at 30fps using H.264 format and AAC for audio. Samsung has also tossed in a few goodies such as fade-in and fade-out controls to make it easy to post directly to socials without post production. The kit includes a full working copy of Adobe Lightroom 5 with RAW compatibility for the NX3000. Lightroom is your best option for RAW processing, since neither Apple nor DxO support RAW decoding for the NX3000. A full working copy of Lightroom 5 is included in the NX3000 kit. 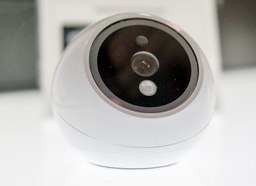 Integration with smart devices is easy thanks to the Mobile button on the top deck of the camera. Once you've downloaded the respective free app for your smartphone or tablet, simply press the button, choose the function, and connect. I like the Android version of Smart Camera better than what's available for iOS. But I guess that's to be expected with Samsung. 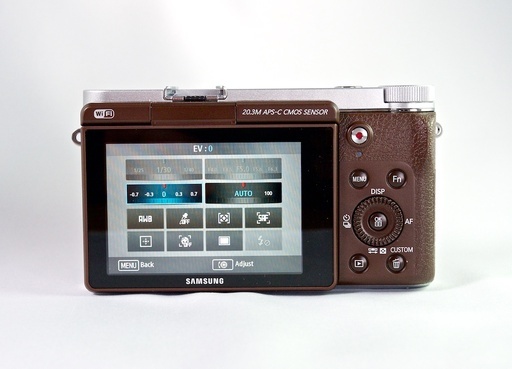 The NX3000 is an LCD-only camera with no options for an electronic viewfinder. This can present problems in bright, contrasty lighting conditions, making it difficult to compose on the screen. For those situations, I've repurposed my Olympus optical viewfinder for the 30mm lens on the Samsung, as shown in the illustration here. 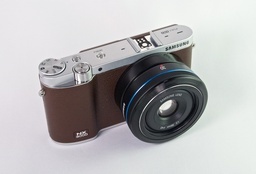 Since the NX3000 does have a hot shoe, DIY options can help overcome the lack of electronic viewfinder. The NX3000 kit does not include a separate battery charger. The default method is to connect the camera directly to the included USB power brick. This is both a pro and a con. USB charging is ideal for solar units and other alternative methods. The downside is that if you want to refresh batteries while using the camera, you'll have to spring for the accessory charger. Back panel of the NX3000 is clean and straight-forward. The 3" LCD is not a touchscreen. The fn button brings up the quick menu, as shown in the illustration. And finally, it's worth noting that the NX3000 is a fairly simple camera to operate. There are not a lot of dials and customizable buttons. 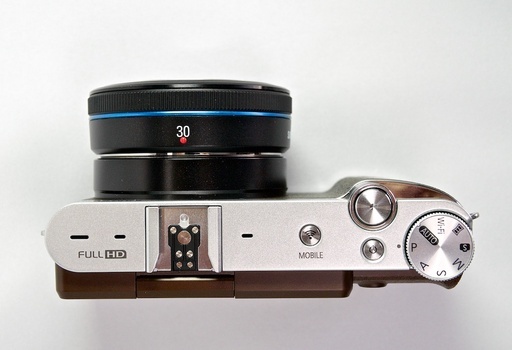 So if you want a more complicated picture-taker, this might not be the camera for you. For me, there was plenty of control. And I've been just fine using the basic controls that photographers depend on 95 percent of the time. For about $400, Samsung NX3000 owners get a power zoom lens with one ED and four aspherical elements that sells for over $300 by itself. They also get a full copy of Adobe Photoshop Lightroom, worth at least $100. And, as a bonus, have an APS-C sensor camera to use them with. And a handsome device at that. In case you were wondering, the grip is not genuine leather (rather its textured plastic). But everything else about this camera is the real deal. Add one of the affordable prime lenses, and you have a light, compact, quality picture-taker that has good looks too. 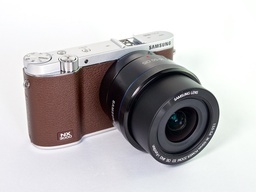 The Samsung NX3000 camera with 16-50mm OIS power zoom indeed has a high nimblesoity rating. 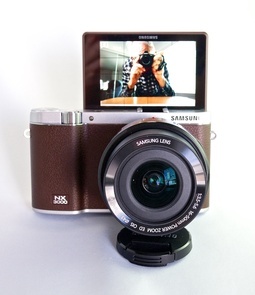 The Samsung NX3000 has a high Nimbleosity Rating. What does that mean? You can learn about Nimbleosity and more by visiting TheNimblePhotographer.com. 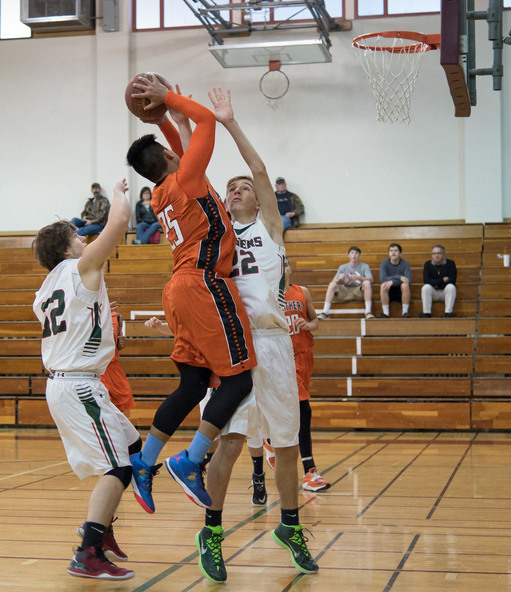 For the Nov. 2014 Photo Assignment, TDS shooters worked on many levels. See for yourself in our gallery, Layers. And which one will be the SizzlPix Pick of the Month? Photo by Victor Hermand. Victor writes, "With this month's assignment, I am happy to celebrate a year of virtual camera club participation. Thank you for all the fun! See all of the great images from this month's assignment by visiting the gallery, Layers. The Jan. 2015 assignment is "Backlighting." Details can be found on the Member Participation page. Deadline is Jan. 31, 2015. No limit on image size submitted. Please follow the instructions carefully for labeling the subject line of the email for your submission. It's easy to lose these in the pile of mail if not labeled correctly. For example, the subject line for this month's assignment should be: "Photo Assignment: Jan. 2015." Also, if you can, please don't strip out the metadata. And feel free to add any IPTC data you wish (These fields in particular: Caption, Credit, Copyright, Byline), I use that for the caption info. Gallery posting is one month behind the deadline. So I'm posting Nov. 2014 gallery at the end of Dec., the Dec. gallery will be posted at the end of Jan., and on and on. Good luck with your January assignment, and congratulations to all of the fine contributors for November. I just love the fact that my most popular Flickr photo of 2014 was recorded during a spontaneous tutorial at the TDS SF Street Photography Workshop last May. We were scattered about on Pier 14 admiring the night view of the Bay Bridge. Some of the participants had already made some great photos. 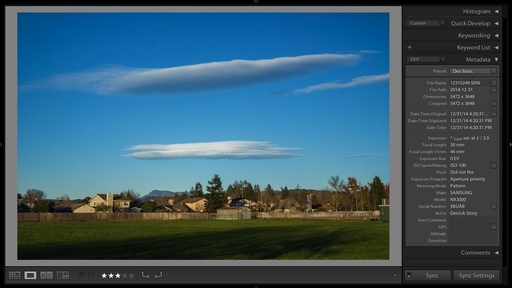 So I thought we'd do an unplanned tutorial on using Live Time on the Olympus OM-D E-M10. Using a Mefoto DayTrip Tripod positioned on top of a covered refuse can, I composed the shot. For a little extra spice, I also enabled one of the Art Filters. I so enjoyed being part of the group huddled around the camera as we watched the image come to life. Flickr Essential Training - I explore the entire Flickr universe, mobile and computer, in my lynda.com title, Flickr Essential Training. Stop by and take a look. 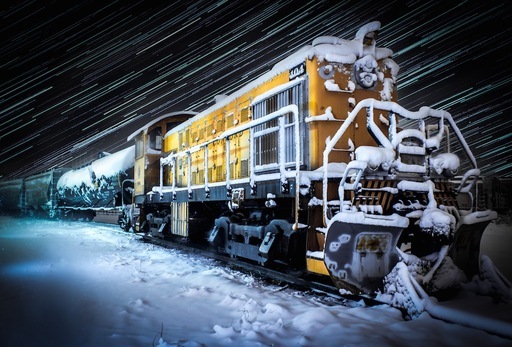 This week on The Digital Story Photography Podcast: - 5 Tips for a Productive 2015, Ello, I'm Here! Windows Phone 8.1 Adventure - All of this and more on today's show with Derrick Story. Snapshot - Holiday Group Shots - We gathered, we ate, we laughed, and then we took a group shot. Weekly Update - Nikon D750 flare problems? Here's why and what to do about them. (It's not your lens.) - Some number of D750 bodies have a problem with internal reflections -- it's not lens flare -- from the autofocus sensor that lead to strong flare and "shadow bands" appearing in the image. Source: Imaging Resource. Also this week... Hackers Find that Fingerprints Can Be Stolen Through Public Photos - As the quality of cameras becomes better and better, there's a new security issue emerging that you may have not thought about: fingerprints being stolen from photos. Hackers are reporting that a person's fingerprints can be reproduced using public photos that show their hand. Source: PetaPixel. 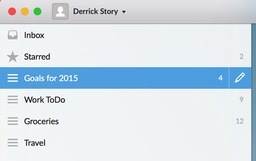 Story #1 - 5 Tips for a Productive 2015 - Each new year brings new opportunities. Are you ready to make the most of 2015? Endeavor at least one new project (or product) each year. Decide (and write down) how success will be measured. Keep a running list of great ideas. Reflect on what worked well, and what did not in 2014. Get your house in order. Do you have the tools and resources lined up to take advantage of new opportunities? Story #2 - Ello, I'm Here! - After a month of observation and posting, I have to say that I think Ello is interesting. In fact, I bought the T-Shirt... literally. Here's more about it.Â You can find me on Ello here. Story #3 - Windows Phone 8.1 Adventure - I was curious about the state of Windows phone operating system, so I bought a Nokia 520 on the cheap so learn more about the state of Microsoft in the mobile universe. I share my report in the third feature story of the day. I've also published two articles: 24 Hours with a Windows 8 Smartphone and Has Windows Phone Come of Age for Photographers? Photo Assignment for December 2014 is "Frozen". News from SizzlPix: Have yourÂ SizzlPixÂ now, and with BillMeLater, make no payment until June. Great for sellingÂ SizzlPixÂ of your photography and collecting your profit even before you pay. Also helpful for any photographer with an opportunity for gallery showings. In addition to subscribing in iTunes, you can also download the podcast file here (33 minutes). You can support this podcast by purchasing the TDS iPhone App for only $2.99 from the Apple App Store. SizzlPix! - High resolution output for your photography. You've never seen your imagery look so good. SizzlPix.com. SizzlPix! now is qualified for PayPal "Bill Me Later," No payments, No interest for up to 6 months, which means, have your SizzlPix! now, and pay nothing until June!